This is Englands Golf Coast which is close to the International airport at Manchester and the cities of Manchester and Liverpool. Southport is an ideal base for visiting this area which is awash with top quality Links Courses. North are the great courses at St Annes Old and Royal Lytham Open Championship Links (Venue for the 2012 Open), To the south you have the courses at Wallasey and Royal Liverpool Open Championship Links and within minutes of Southport you have Royal Birkdale Open Championship Links, Formby, Hillside and Southport and Ainsdale, together with other quality courses too numerous to mention. This area is a ‘Must Visit’ for the serious golfer. 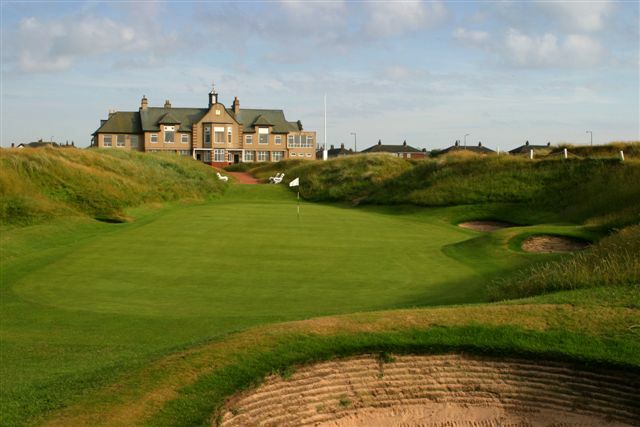 Although all British Open venues are magnificent, Royal Lytham is perhaps the most surprising. A links in every sense of the word in terms of the sandy soil and exposure to the wind, Lytham bucks all the trends of traditional golf amongst the dunes, by being set amongst a Victorian housing estate. Let this not dim your enthusiasm for visiting the course, for Lytham is as well designed as any course. The only Major Championship venue to open with a par 3, Lytham will both test and reward with equal measure ensuring that almost everyone who visits can leave remembering at least one spectacular score on their card. From the 6th to the 13th you will encounter 5 holes which are within everyone’s range allowing for low scores. Whilst we might not equal Seve’s 5 birdies and an eagle over this stretch in the 1988 Open Championship, we should keep the damage to a minimum for these holes for the rest of the course is brutal. 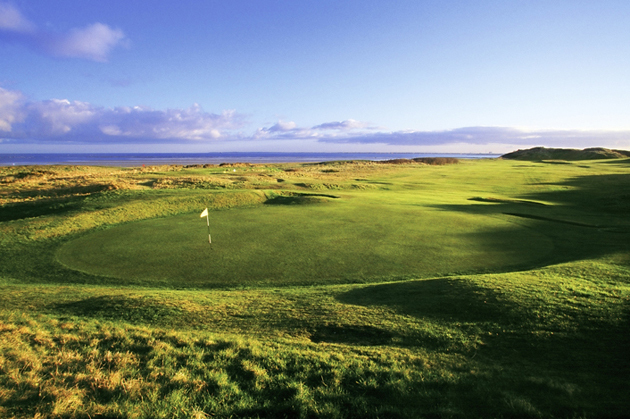 The Open Championship has been held here on 11 occasions, the first being in 1926. The Open was last staged here in 2012 when Ernie Els won the Claret Jug. 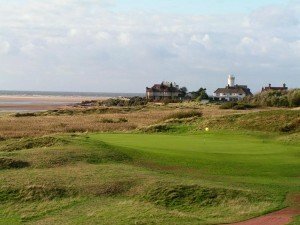 The Northwest coast of England from The Wirral to Blackpool boasts so many wonderful courses, that good ones tend to look commonplace. 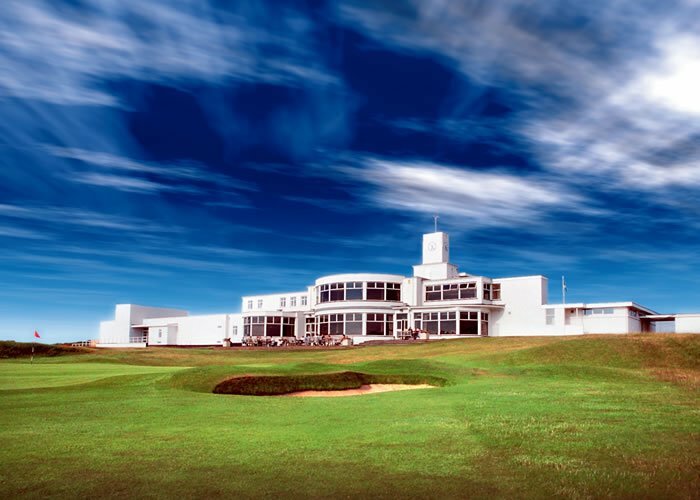 To say that Royal Birkdale stands out in such illustrious company gives a fair indication just what you can expect. In our opinion there is no better expression of links land golf in England. Although there are high dunes all over the course, the fairways are flat and fair. This is not a quirky course of the style of some of the smaller links courses in England, but a grand, and fair challenge. Right from the start the course gives an indication of what you can expect. The first hole demands a precisely positioned tee shot and well struck second with a wood or long iron. The second, which invariably plays straight into the wind, is equally difficult, normally requiring another long shot into a green as heavily defended as a Roman fortress. 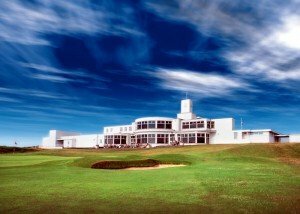 Royal Birkdale has hosted the Open Championship on ten occasions, beginning in 1954 and more recently hosting the event in 2017, when it was won by Jordan Spieth. 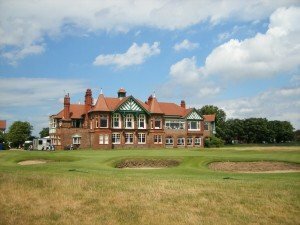 The ancient links of the Royal Liverpool Golf Club at Hoylake, site of the first British Amateur championship, was thankfully added back on to the Open Championship rotation in 2006, a fact that made some of the pros a bit squeamish! It had been left out of staging the tournament since Roberto deVicenzo’s popular 1967 victory, and since then they have not had to face its controversial challenges such as the out-of-bounds practice area just right of the 1st and 16th fairways, the blind tee shot on the 5th, and the old-fashioned, undulating fairways. You can feel the past here, both out on the links and inside the clubhouse, one of the most famous in England, housing some terrific Bobby Jones’ memorabilia with much of it commemorating his Open Championship win at Royal Liverpool during his Grand Slam year of 1930. 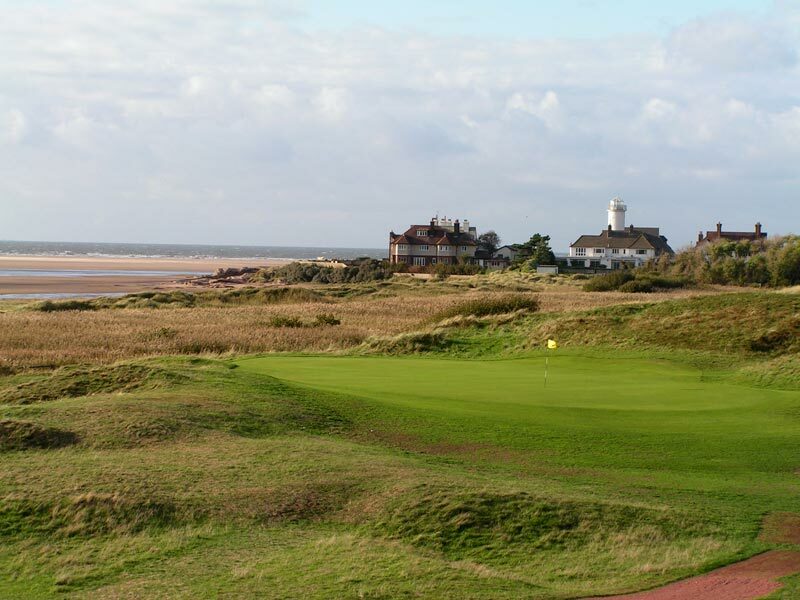 No education of links golf is complete without a visit to Hoylake! 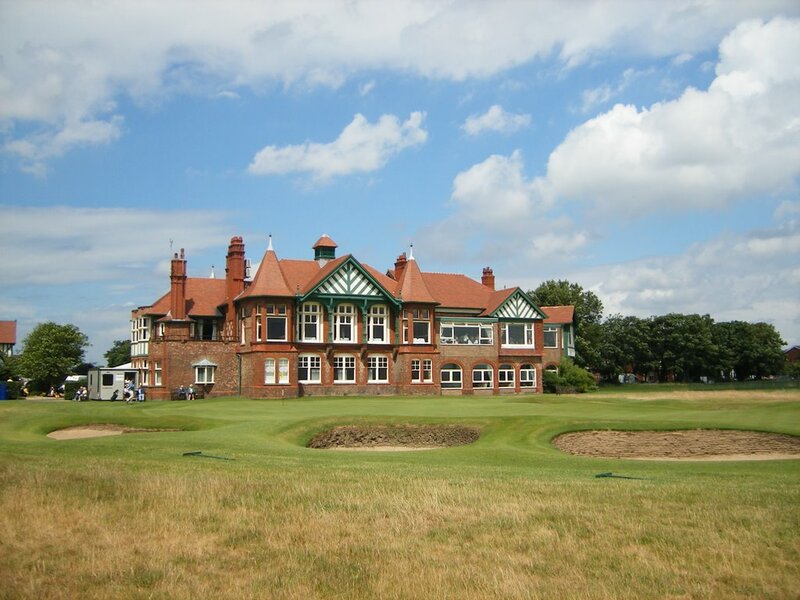 Royal Liverpool – Hoylake, has hosted the Open Championship on 12 occassions, the first being in 1897 and the most recent in 2014 when it was won by Rory McIlroy. Hillside is widely regarded as the finest British golf course not to have staged an Open Championship and there are those who believe that it presents a tougher challenge than many of the courses on the current rota. 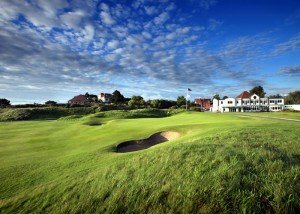 None other than two-time Open champion, Greg Norman, once stated that Hillside’s back nine was “the best in Britain” Hillside lies a stone’s throw from Royal Birkdale, amid a stretch of sand hills on the outskirts of Southport, and has many of the attributes of its neighbour. The start, like Formby, is dominated by the railway line that runs parallel to the opening holes. The back nine was re-designed in the 1960s and features a series of holes that linger in the mind long after a visit is over. Hillside recently hosted Open Championship Final Qualifying between 2014 – 2017. It has also hosted several major amateur events, including The Amateur Championship and the Ladies’ British Amateur, which returns again in 2018. In 1982 the course hosted the PGA Championship and in 2003, the English Seniors’ Open. 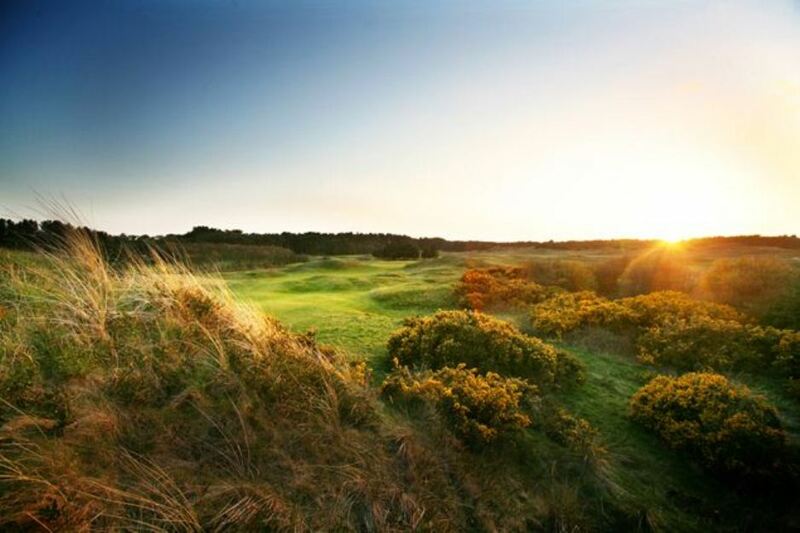 Formby Golf Club is a true championship links course unlike any other. Running through mature sand dunes and pinewoods, the combination of well protected greens, undulating fairways and challenging tee shots signifies a course of magnificent contrasts. 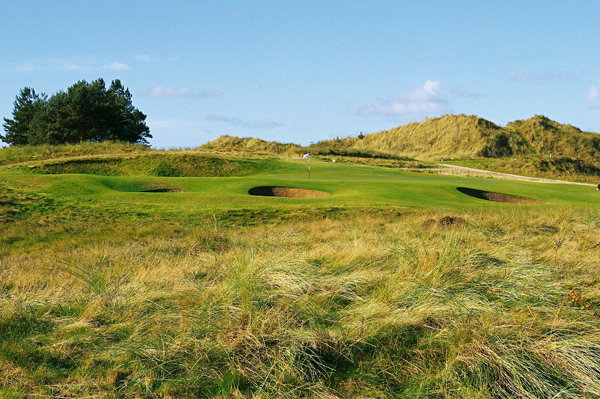 Formby’s links are set amongst coastal sand dunes and towering pines. The undulating fairways are planted with traditional rye grasses and flat lies are rare. Add strategically placed pot bunkers and frequent changes of wind strength and direction to the mix and the new visitor will quickly discover why Formby is so popular with discerning golfers. The Links at Formby Golf Club were founded in 1884 and have been sensitively modernised over the years, to ensure it remains a challenging but enjoyable test of golf. The West Lancashire Golf Club was founded in 1873 and is among the ten oldest golf clubs in England, boastinng one of the most natural and testing links in the British Isles. 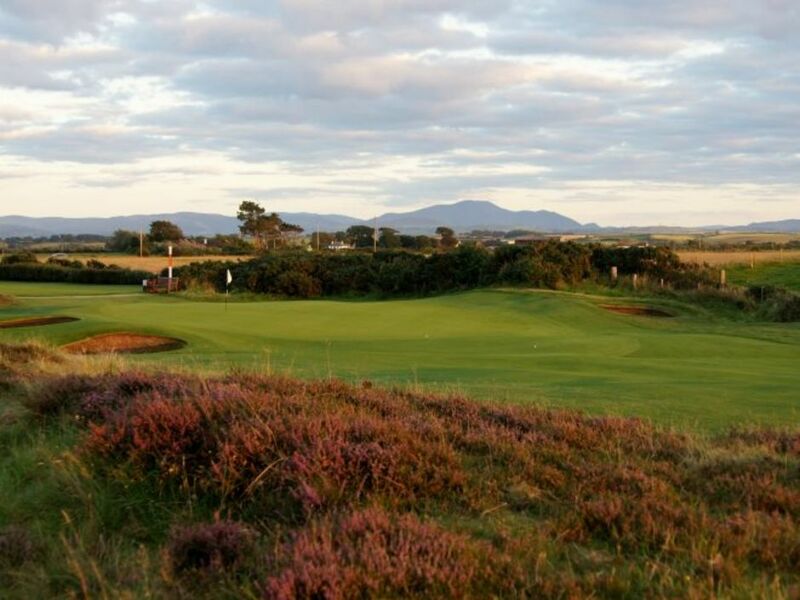 Imaginative and varied in layout, the course has so much more to offer than simply a wonderful experience of classic links with stunning views of the Mersey Estuary, Anglesey and the Welsh Mountains. The West Lancashire Golf Club is a Final Qualifying venue for The Open Championship when it has been played at Royal Liverpool, Royal Lytham and Royal Birkdale. The Stableford scoring system was devised by Dr Frank Stableford, a member of Wallasey and Club Captain (1936). The first Stableford competition was played at Wallasey on 16th May 1932. Visitors to the club will be able to see the famous painting of Bobby Jones, by artist and Wallasey member J.A.A.Berrie, RA. Jones sat for the painting during his ‘Grand Slam’ year of 1930, when the Open was held at nearby Hoylake with qualifying at Wallasey. 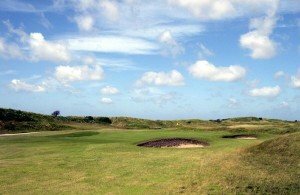 Wallasey is a classic links, originally designed by Tom Morris Snr., but with many later alterations influenced by such illustrious names as James Braid. Recent improvements were designed by Donald Steel. Most of the course is played through sand dunes, with few flat lies on tight, running fairways. The greens are firm and fast, and constant sea breezes make clubbing difficult. Wallasey provides a stern but fair challenge, and is a superb test of golf for players of any standard. 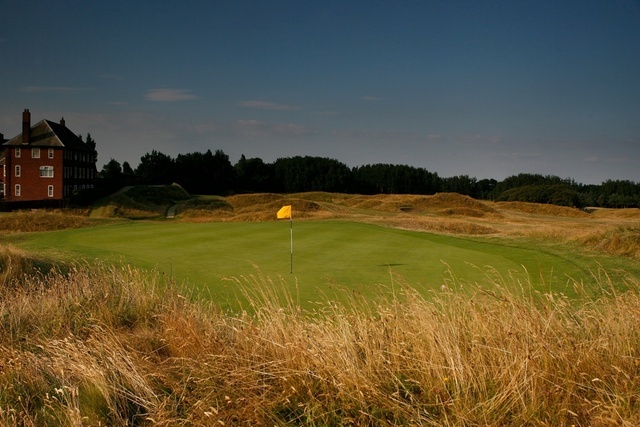 Wallasey was a Final Qualifying course for the Open Championship when it returned to Royal Liverpool (Hoylake) in 2006. Founded in 1901 St Annes Old Links offers a true links experience with its fairways lying between sand dunes and exposed to the westerly winds coming in from the Irish sea.The course has been an open qualifying course for the Royal Lytham Open since 1926 and has also staged many tournaments such as the English Ladies Amateur Championship. This is a demanding test for golfers of all levels as it also has four ponds influencing 6 holes. This is a very traditional course along with an excellent reputation for old-style hospitality. One of a chain of wonderful seaside links courses along the stretch of coast at Southport near Liverpool. Southport and Ainsdale is considered, despite a relatively modest yardage of 6,200 yards or so, a tough enough test to stage qualifying competitions for The Open when it is staged at Royal Birkdale across the railway line. The current layout was first penned by James Braid back in the 1920s and it deservedly and quickly gained a fine reputation, hosting two of the earliest Ryder Cup matches, back in 1933 and 1937. Like many links courses, it’s the wind that presents the main challenge and makes the course play as entertainingly as it does. This combined with a warm and friendly atmosphere in the clubhouse leads to a great day out. Hesketh Golf Club is Southport’s oldest golf club, founded in 1885. Standing alone on the crest of a tall sand hill, the clubhouse dominates the golf course, and the surrounding district. The course is at the northern end of south-west Lancashire’s sand dune system, which is the home of so many great golf courses. 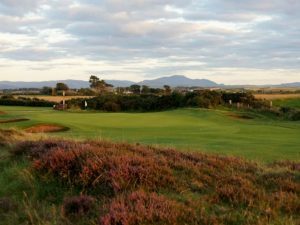 Professional championship golf has been played on these famous old links from the club’s earliest days, and the course is regularly used as a final qualifying course when The Open is played at Royal Birkdale. Hesketh hosted the Junior Open Championship in 2008, the Centenary Lancashire Amateur Championship in 2010 and was co-host with Hillside for the 2011 Amateur Championship. The final hole requires an accurate drive on to an angled fairway, usually with the help of the prevailing wind, before a long approach in to the final green under the critical gaze of those safely ensconced in the Nineteenth Hole. The player can then enjoy the comforts of the busy and atmospheric clubhouse: a meal made with local produce and above all, a warm Cumbrian welcome.